Oceanfront Comfort in the Heart of Jacksonville Beach. Ocean views from every room except bathroom and guest bedroom. Recently renovated ocean front condo in the heart of Jacksonville Beach. Location is approx 10 - 15 minutes from the Mayo Clinic we are also close to the Proton Center. 2 hours from Disney - plenty of local activities including water park, golf, shopping, spas, etc. We are 30 - 40 minutes from Downtown Jacksonville's sporting events, concerts, shows and dining. 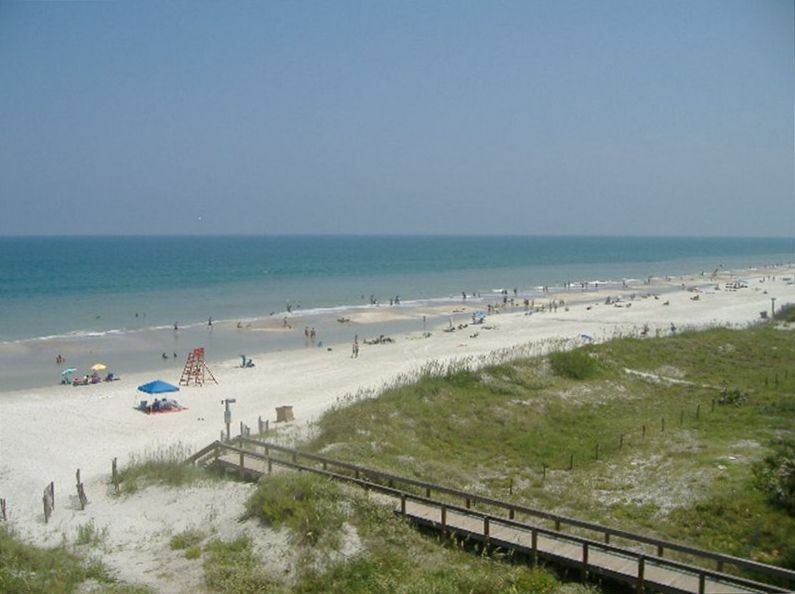 5 - 10 minutes from Ponte Vedra and Sawgrass. 10 minutes from great shopping and dining at St Johns Town Center. Complex has its own ocean front pool as well. TVs have Amazon Firesticks. Netflix is provided through the Firesticks. Condo was a good home base to explore the area. Clean and comfortable but not too fancy. Updated kitchen and bath, floor tile instead of carpet was nice at a beachfront condo. Very quiet so we were able to rest well. Owner responsive when there was an issue with door lock low battery. We liked the reserved parking and easy access to beach. We enjoyed our stay. Beautiful place with the best view! Very comfortable condo! Great location with beautiful ocean views! Walking distance to fun restaurants and bars. Thanks Joanne. We would love having you back in the future. This condo is a wonderful place for my husband and I. Right on the beach, sit on the balcony and listen to and watch the ocean. Only steps to the beach. Clean and comfortable. We are coming back next year! comfortable property in a great area. Thanks so much for the review Barbara. Again, I'm sorry for the issue with the late cleaning since our housekeeper had an emergency arise. Usually she is timely and does a great job. Look forward to having the opportunity to provide a seamless stay in November. Thanks so much Sherri. We will look into the missing remote and replace ASAP. Please keep us in mind for future stays. I thoroughly enjoyed the views and the beach which was literally in our back yard. I was not impressed by the condition of the condo. The mattresses were old and uncomfortable. The chairs on the balcony were old and cheap. The floors were still gritty from the sand of the previous renters and the coffee pot was extremely dirty and old. I had to scrub it with a scrub brush to make it usable. I'm not a clean freak so that's saying something. Would have appreciated some notes on where everything was along with restaurants in the area. Other places provided soaps for laundry and dishes this one did not. Suggestions: Provide essentials, Better cleaning crew, Get a new coffee pot (maybe a Keurig and include coffee? ), provide notes for where to locate garbage dumpster, where the towels are, places of interest in the area (restaurants, foodstores, etc. ), get new outside furniture for the balcony. Leave your name and contact information handy. Make yourself accessible (I tried calling several times and got a busy signal). You have a gem of a place regarding location. Make it even better by making your place more inviting and classy. If they had a Keurig, new comfortable mattresses, list of places to go, provide essentials I would have rated this 5 stars. The view and the beach is what made this place enjoyable.